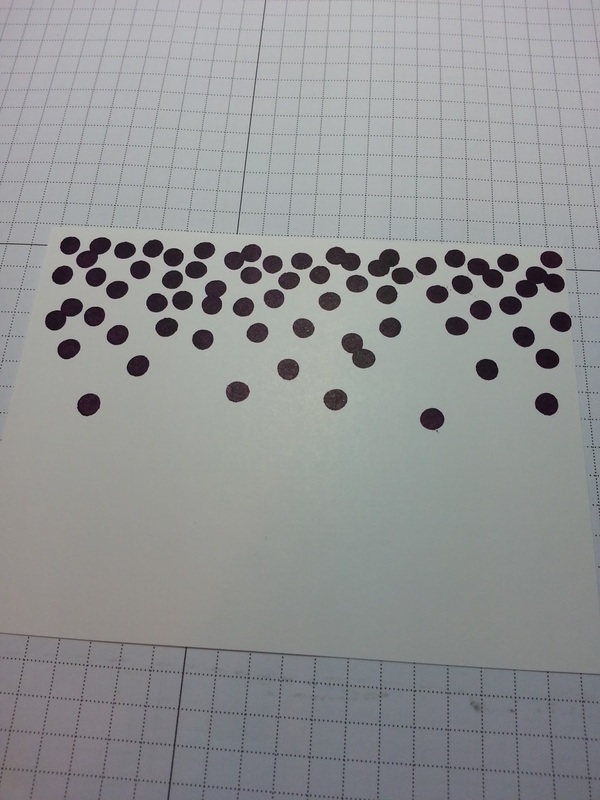 Dotty Angles was one of those stamp sets that I put on the order and took off a few times before I finally hit submit. It is just two stamps, photo-polymer, and I didn't know if I would use it much. But, I am glad I ended up getting it because it is really fun for backgrounds! I found a card similar to this on Pinterest and so I decided to make it my first use of the stamp. I started by inking up the stamp with the new Blackberry Bliss. 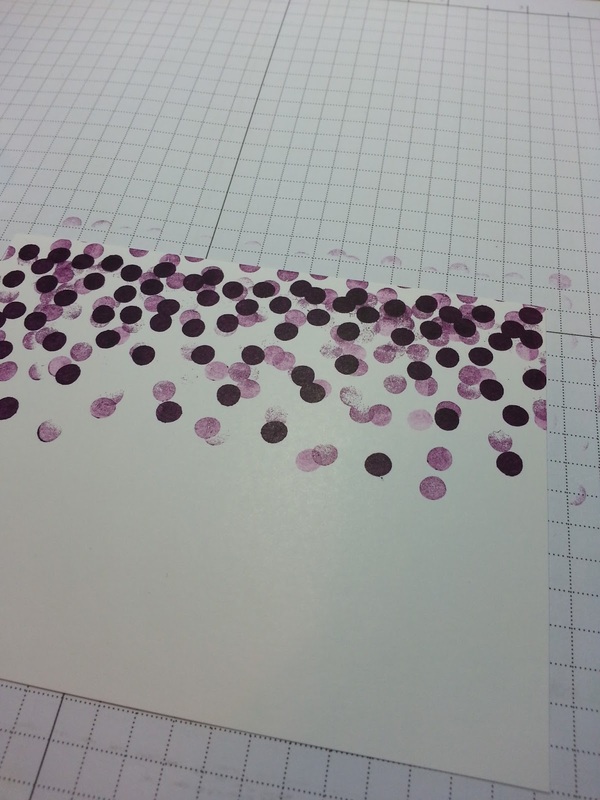 I stamped it down onto the paper with out re-inking it three times to get the various shades. I just moved it slightly up and over each time. 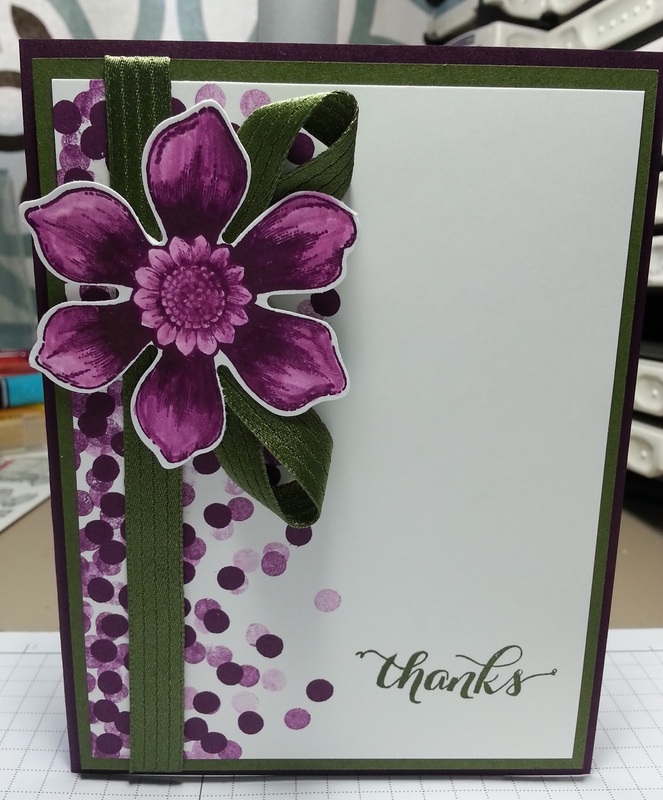 The big flower is from the Beautiful Bunch stamp set. I love a stamp that has a matching punch! I inked the flower in blackberry Bliss and then used blender pens to color in the petals. That pretty ribbon is the new Mellow Moss stitched Satin ribbon. 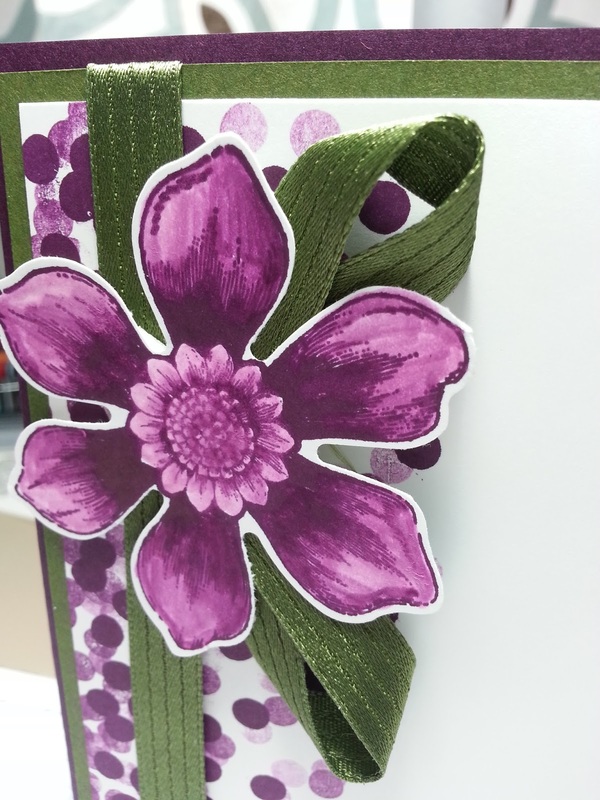 A quick and easy card to put together. Just add a sentiment at the bottom and you are done. Beautiful! I'm waiting for my Dotty Angles to arrive. Apparently they were on backorder, but should be arriving any day! The Mossy Meadow goes so well with the Blackberry Bliss! MDS Blog Hop ~ What are we working on? MDS Blog Hop ~ Summertime Fun! !